Fortis and Purgatory are both exceptional covert agencies composed of deadly operatives. 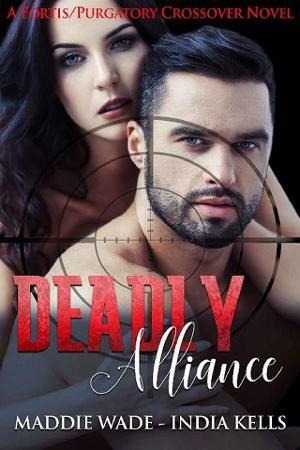 With the Atlantic Ocean between them, they never thought they would ever collaborate until a series of horrible murders force them to unite. As a former Navy SEAL, Shane Rhodes has suffered his share of tragedies but when his best friend’s little sister is murdered by a vicious serial killer, he takes it personally. Emme Wallace is the perfect bait; she is also young, innocent and skilled. With both their teams behind them, they go after a lethal shadow set on revenge. As danger brings them even closer, barriers are shattered and bonds formed until they realise that they are much stronger together than they are apart. But will their unique talents and skills be enough to survive a threat no one can see?